Before the draw hopes were high for a good day’s fishing, despite there being almost no flow due to the persistent lack of rain. Indeed within seconds of blowing his whistle Trevor was into a skimmer of about a pound and I saw a decent bream roll in front of me. This however was the start of a frustrating day, all that wanted my worm were tiny perch and the best fish I could see caught for the next hour were small roach. Trevor also couldn’t manage more than a few ounces over the next hour or so. Craig was then seen netting a couple of decent roach and I had a run of small skimmers to add a few pounds to my net by about ½ time. At the same time Trevor, bless him, found a shoal of gudgeon and was more than content to catch one a cast as he admitted to rather liking them, seeing them as a challenge! 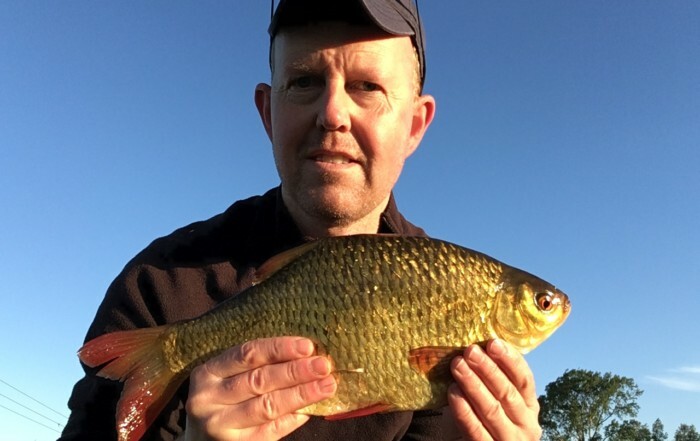 Still after three hours the odd bream was seen rolling at about 14 metres but Craig had by then decided they weren’t going to play and instead went for the roach, which turned out to be a good decision as he accumulated over 16 lb of them to come first. He admitted to catching a good percentage on elderberry! In contrast I stuck with worm for skimmers and bream but was plagued instead by small perch and ruff! 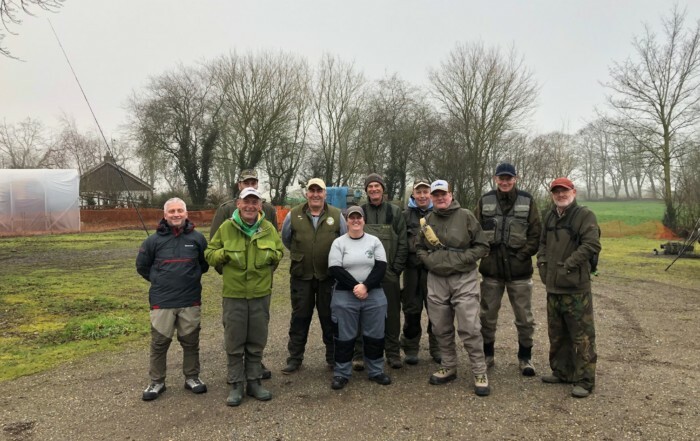 It did seem however that the roach were mainly in Craig’s swim as Kevin next to him, and others including Martin and Gwyn towards the other end of the length, experienced a much slower catch rate. 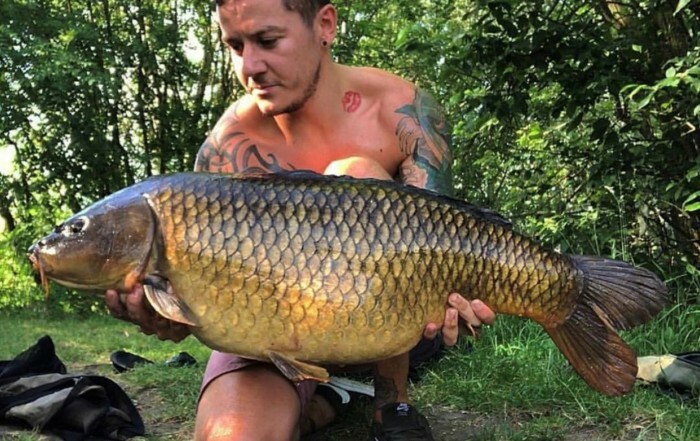 Reports during the match from observer Steve Palmer confirmed that no one had had any decent fish but some were regularly catching reasonable size roach, this was definitely the best tactic on the day for a good weight. In terms of organisation it must be noted and appreciated that Trevor had again done a good job the week before, liaising with the rowers, detailing our match plans, and asking that all boats refrain from using the river for our stretch downstream of the railway bridge. Also, thanks again of course to the rowers for their consideration. Our next match on 16th September will be on Reach Lode, Upware, which hopefully will be starting to fish properly now that temperatures have dropped a little. As usual please book your place via Trevor, details as per the club book.